VTech provided a sample in order to facilitate my review. All opinions are as always, 100% my own. Having a daughter I want so many things for her. Some of them are realistic and some of them, like never getting her heart broken, I cannot do anything to stop. But more than anything else, I want her to know that she can be anything she wants to be. She is capable of being anything that she can dream up. There is now a line of toys that encourage this very thing I am trying to teach her. Flipsies from VTech are a new line of interactive toys. At first look they are adorable little girls who love fun and colors and just being a girl. But they can flip into so much more. Eight introductory themes encourage girls to dream to be anything they want to be, whether it’s a doctor, marine biologist, teacher or even a princess. Each 2-in-1 doll magically transforms from her everyday look to her dream look by changing her hair, clothes and accessories. 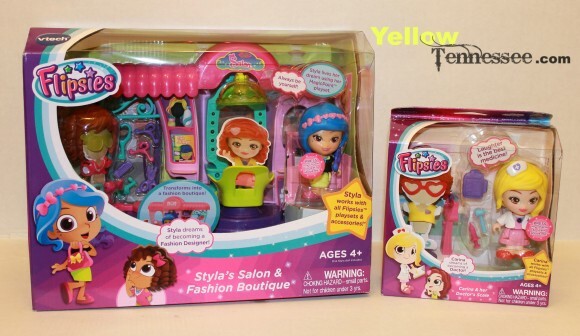 For this review we got to check out Styla’s Salon & Fashion Boutique playset. Styla is an adorable little girl who loves playing dress up with her friends. But Styla dreams of being a fashion designer. 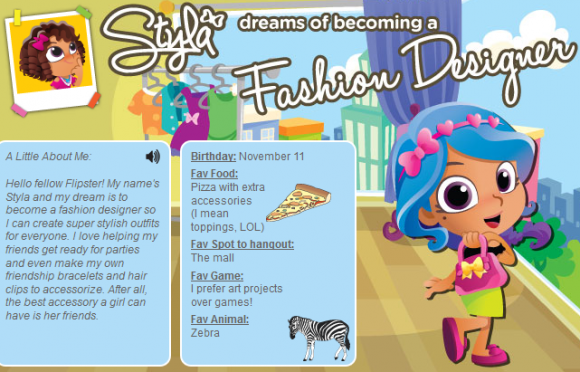 With a simple flip, and a quick change of clothes and hair, Styla goes from an girl playing with her friends, and fixing their hair in a salon to dream up new clothing and fun makeovers for all her friends in her fashion design store. One of the most fun things about Flispies is that they all have MagicPoint™ technology, so they can interact with their playsets and even talk to one another! When placed on MagicPoint locations on any playset, each Flispies doll responds with fun phrases that match her personality and location on the playset. The dolls can also interact and talk to each other in select MagicChat locations throughout all the playsets. This means that no matter what Flipsies your child has, as you add more dolls and sets to it, they will interact and work with each other. To celebrate Flispies and this fun line of toys, I decided to sit down with my 4 year old and ask her a few questions. I pretend that I am a mommy. I am Rachel Akers. (Aw, she pretends to be me). I like Sandy because she loves swimming and dolphins. An archaeologist, so I could dig for dinosaur bones. 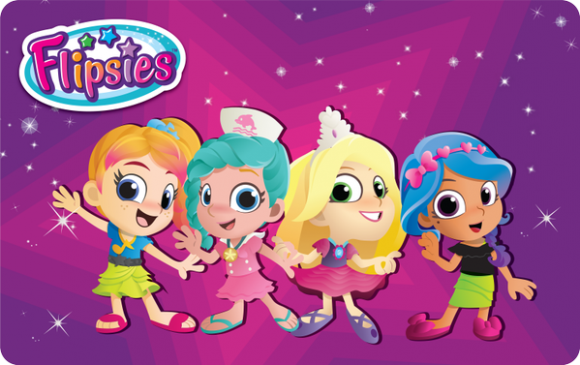 There is also a new Flipsies microsite, offering girls exciting activities, games, quizzes, videos and more. It also serves as a resource for parents, with tools and advice on how to support and empower their children, build their confidence and help them achieve their dreams. We already have one Flipsie set and she loves it. So when this new one showed up I knew she would love it just as much. But she hasn’t seen it yet. Instead I have put it up to save for Christmas. Keep an eye out on social media for an update after the holidays and just how much she loves this new set. Now for the giveaway. One reader will win a Styla Flipsies set to help inspire your daughter to dream big. Use the simple form to enter.